The University of Hertfordshire: Help find hidden galaxies! As launched on last night’s BBC Star Gazing Live, the SpaceWarps 2 project needs your help to find galaxies so massive that they warp space and time. Scientists on the project, including Dr James Geach from the University of Hertfordshire’s Centre for Astrophysics Research, need people to visually inspect astronomical images to look for a phenomenon known as “gravitational lensing”. You don’t need to be a techy scientist to look at the images, you just need to look for and recognise patterns in the images of far off galaxies. People have a remarkable ability to recognise patterns and can detect the unusual with very little training – unlike computers which are difficult to teach to recognise these patterns and can easily get confused by other galaxy images. The task is to assess whether or not gravitational lensing is actually going on in each image. With a basic tutorial of what the distorted images of galaxies that have passed through a gravitational lens look like, survey participants can help discover new examples of this amazing phenomenon. Over 40,000 images of distant galaxies from large telescopes based in Chile and Hawaii have been carefully selected that might act as gravitational lenses. 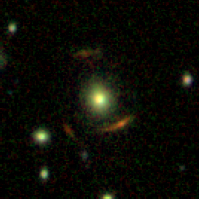 After the short tutorial, survey participants will be able to click and identify where they think a gravitational lensed feature is on an image. With many people looking at the same images, the team can quickly build up a robust sample of candidate lenses that would otherwise take an individual an extremely long time to do. Read more here from Dr James Geach on the Space Warps blog.